Last weekend I saw John Carter, an action-adventure blockbuster based on a series of early 20th century books that are considered to be some of the foundational works of science-fiction. I enjoyed the movie well enough for what it was, an effects driven spectacle without much substance, but it looks like it’s going to lose money. A Lot of money. And that means Hollywood is hunting for somebody to blame. It’s the usual story of mismanagement, poor marketing, and an unwilling audience, but maybe we can learn something useful about science-fiction and story-telling. Instead, with a weak opening this past weekend, Wall Street analysts expect the company to take a $165-million loss on a movie that has joined "Heaven's Gate," "Ishtar" and "Howard the Duck" in the constellation of Hollywood's costliest flops. 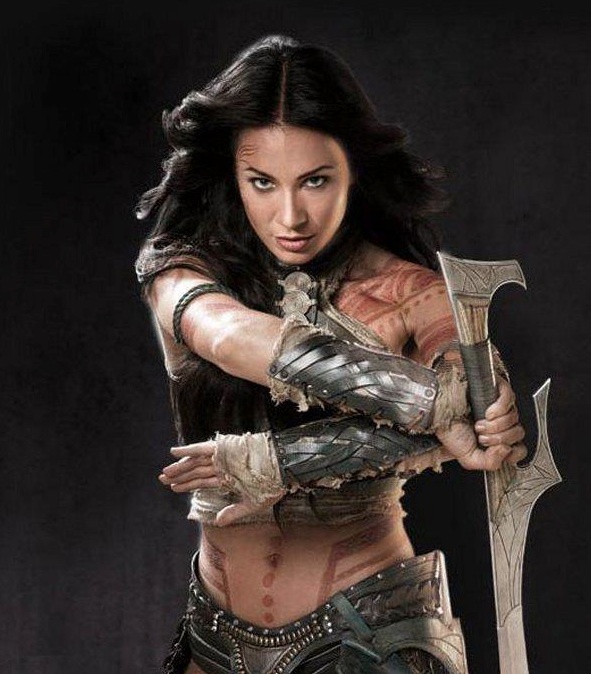 By the time "John Carter" started filming in January 2010, however, Cook had been replaced by Rich Ross, a television executive who had never overseen a film of this scope. Ross named as president of production Sean Bailey, a movie producer who lacked experience as a studio executive, then installed MT Carney, an outsider from the New York advertising world who'd never worked at a studio, as marketing chief. Then Carney left in early January and was replaced by veteran Ricky Strauss — just as the film's promotional efforts were to kick into high gear. The geek contingent on the internet is blaming bad marketing (and the marketing was truly awful, despite a Superbowl ad and $100 million budget) and political intrigue at Disney. Some critics say that audiences don’t like science-fiction films. And the studios are trying to turn director Andrew Stanton into a whipping boy for the flop. But the simple fact is, John Carter wasn’t a particularly good movie. I can’t tell you who’s to blame for that, but I can try and explain why the movie flopped, and in one word, it’s the characters. The best comparison for John Carter is Pirates of the Caribbean (credit is due to Marci for pointing that out to me): Both movies are Disney-produced action-adventure flicks based on slightly silly material (a set of 100 year old books, and a theme park ride). Pirates, however, was a massive smash, and went on to spawn a series of increasingly bad sequels. What made Pirates of the Caribbean so good was the quality of the characterization. Not necessarily their depth or the subtly, but the way that the personalities and desires of the characters drove the plot: Will Turner wants to become a hero, Jack Sparrow wants revenge on his traitorous first mate, Elizabeth Swann is torn between being a responsible English lady and a life of adventure, and the villainous Captain Barbossa wants to break the curse and kidnaps Elizabeth Swann to do so. Jack and Will team up to get her back, and the story basically writes itself. In John Carter, the eponymous hero at first wants to get back to Earth and his cave of gold, then he wants to save Dejah Thoris from being murdered at her wedding. Dejah doesn’t want to get married to the brutal warlord Sab Than (but does so to save her home city of Helium), who is being controlled by the truly evil Therns as part of a plan to destroy Barsoom and feed off the destruction. You see the problem? Nobody in John Carter has a clear motive, or a point where they have to make a meaningful decision, or even an opportunity to come into conflict. Everybody is just set up at the beginning, and they bash together, and stuff happens, and the movie ends. There’s no reason to get involved with the characters, care about what happens, or give the movie more than a second of thought once you leave the theater. Now there are more differences between the movies. You might argue that the actors inPirates were just better, and this charisma carried over to their characters, and to be fair, Depp’s Captain Jack Sparrow was amazing. But are you really going to say that Orlando Bloom and Keira Knightly are great actors and head-and shoulders better than John Carter’s Taylor Kitsch and Lynn Collins? They're all pretty and young and otherwise unremarkable in my opinion. John Carter has some of the best visual design I’ve seen in a long time: the airships, the barbaric Tharks, the landscape, and the cities of Zodanga and Helium are beautifully rendered. But graphics can’t save a movie without a clear heart. I have a lot more complaints about John Carter: The over-abundance of sidekick characters who ate up screen time; The tragic underuse of Dominic West (McNulty-The Wire) and James Purfoy and Ciaran Hinds (Marc Anthony and Julius Caesar from Rome); poor pacing and tactical sense in the action sequences, the marketing campaign (Oh god, the marketing campaign. Has Hollywood forgotten how to put a beautiful and badass lady on a poster? Did somebody take their testicles away or something? And don’t get me started about the Superbowl ad). But this would divert from my main point. People want to relate to other human beings, or their fictional representations. They need to have motives that the audience can comprehend, that they can in some way link to their own lives and experiences. Now this is all melodrama, so you don’t need many many layers of complexity, but we like a little conflict and indeterminacy. Is Jack Sparrow a dashing rogue or a ruthless pirate? Who will Elizabeth Swann fall in love with? Will Will Turner acknowledge his father the pirate? This mystery and suspense sustains the audience’s interest through the slack periods. John Carter doesn't have anything like that. The motives are all negative, about not wanting to do something, or wanting to smash and destroy. The characters have a single layer of personality and no real internal conflict, and since the good guys and bad guys are so obvious, there’s no point in thinking about it. Everything that happens and that they see is laid out for you in expository dialog as it happens, which kills the mystery of exploring Mars (compare this to the first scenes on Pandora in Avatar). There only mystery is in the framing narrative with a young Edgar Rice Burroughs. What bothers me is that there’s an actual core of a good movie in John Carter. Make Carter more excited about being on a planet where he is a superhero. Give Dejah Thoris a moment where she genuinely considers marrying the enemy warlord because she wants peace. Be more clear about how terrible Sab Than will be if he becomes the supreme ruler of Mars. Cut down the extraneous characters and make Tars Tharkas or Kantos Kan the sidekick. Throw in some Indian Jones style tomb raiding to explore the weird history of Barsoom (In the books John Carter kills a god who’s religion consists of eating the souls of pilgrims. Why that wasn’t Act II of the movie I will never know?). And if you’re making a science-fiction blockbuster, don’t try and hide the fact (they removed 'of Mars' from the title, reportedly because it didn't test well with women, leaving the utterly generic 'John Carter'), glory in it! A movie with aliens and flying ships is science-fiction, and science fiction does pretty good at the box office. Science-fiction is the literature of wonder. A movie like John Carter is supposed to be amazing, it is supposed to leave the audience dazzled, it is supposed to show us the unknown and how cool that is. But too much wonder leaves us dazed and confused, future-shocked into numbness. In the face of the unknown, we need a fixed point to hold on to, and that anchor is humanity, characters that are clear, likeable, and relatable, characters who act a window into a new world. Screw up the characters, and you screw up the audience’s affective connection to the story. And if there isn’t that affective component, if they don’t care, they won’t go and see your movie.